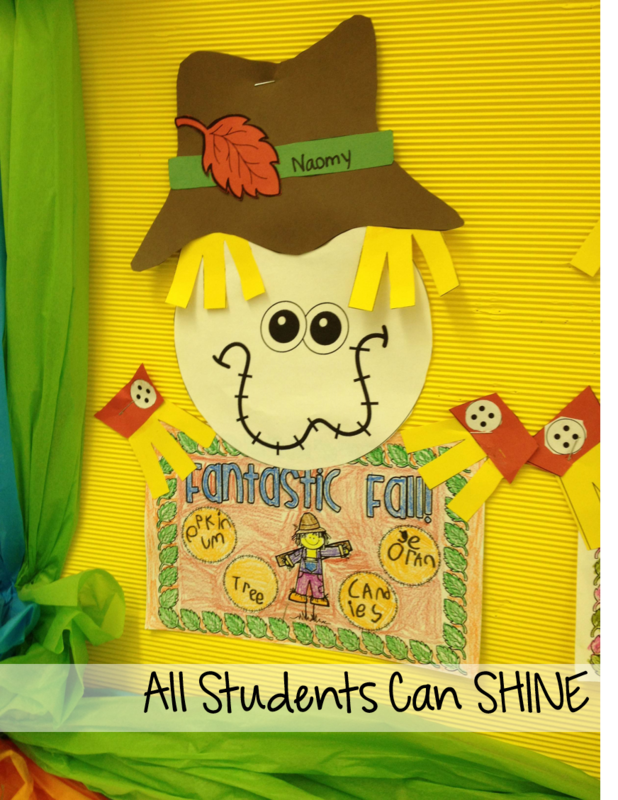 Scarecrows & Pumpkins, OH MY! 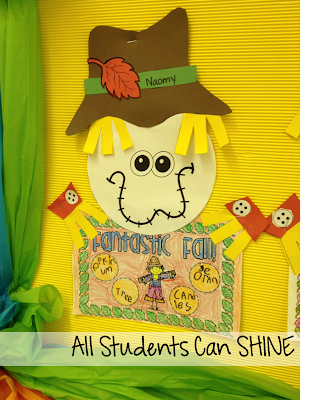 Have you started your pumpkins and scarecrows themes yet? 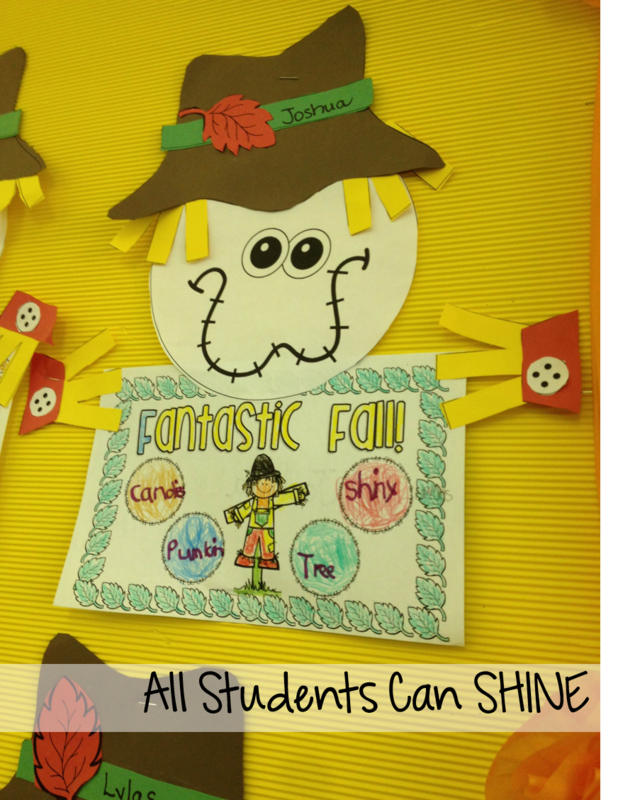 We have been really enjoying these Fall themes in my class! 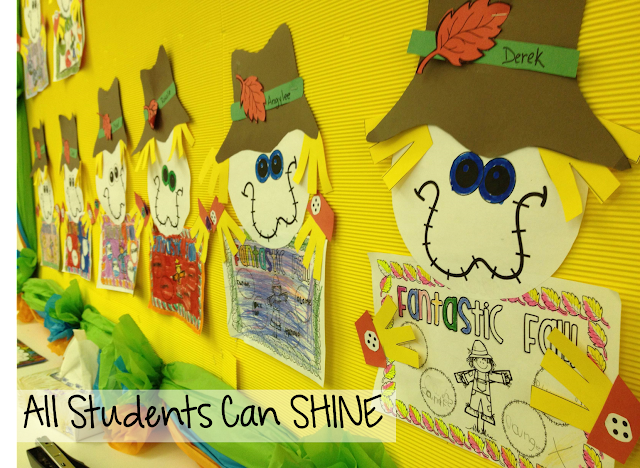 Last week, we worked on a super fun leaf sorting activity. If you have not read my post, you can find it HERE. We also made our scarecrow craftivities! I can't believe how cute they turned out! 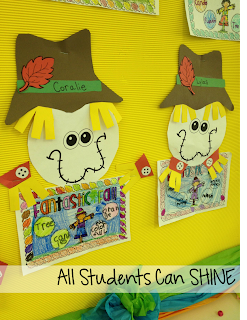 My original craft was WAY too hard for my firsties so I updated it for these little ones. Of course, while I was in the 'updating mood', I decided to update the entire pack too! The bubble map that you see in the pictures is part of my craftivity pack. 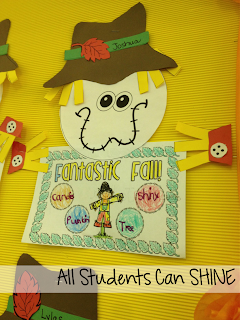 The kids had a blast finding words that describe Fall! 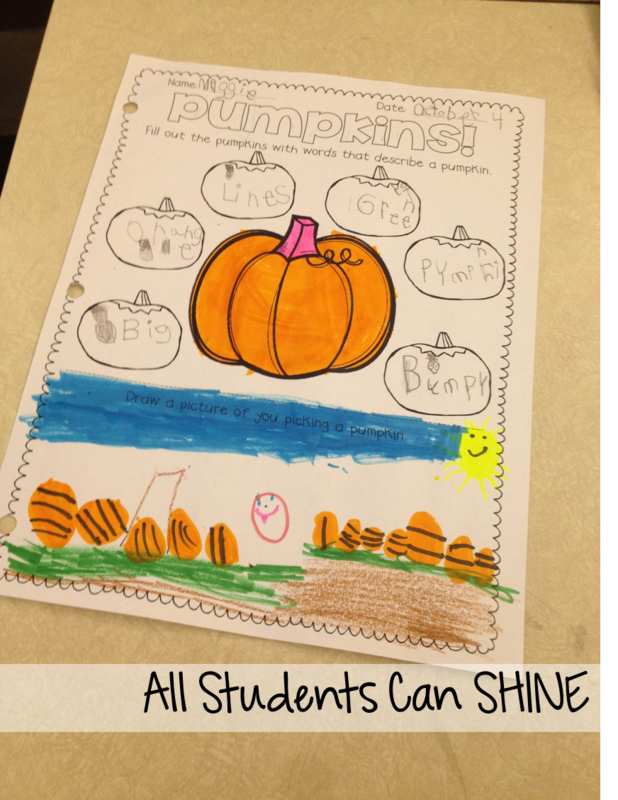 It was interesting to see how they view the different seasons. They came up with a variety of describing words and shared their reasons for adding their words to their bubble maps. 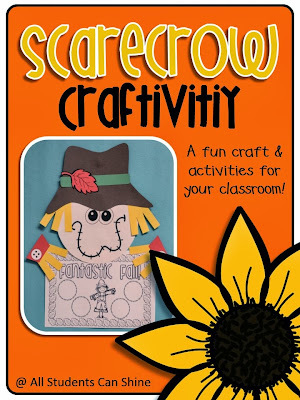 You can find my scarecrow craftivity in my TPT store... just click on the picture below! 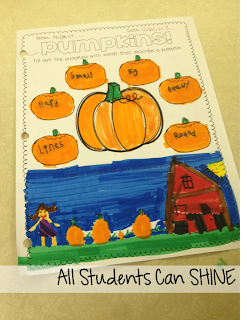 We also worked a little bit with our pumpkins this week. My students teacher brought 20 pumpkins to our class with the hopes of decorating them. 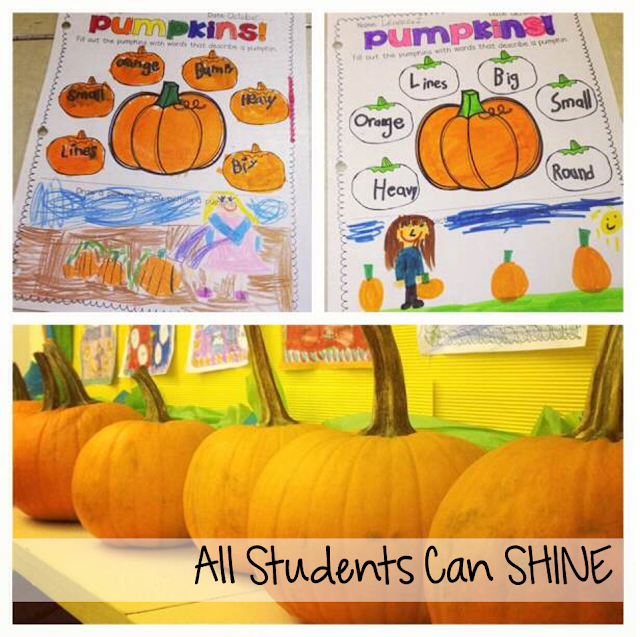 We quickly realized that we could use these big orange wonders for SO MUCH MORE before we put paint all over them! The first thing we did was describe the outside of our pumpkins. We 'looked' at them with our eyes and our hands to chose different describing words. Next week, we will open one up and describe the inside. This should be exciting! I leave you with a fun FREEBIE today. 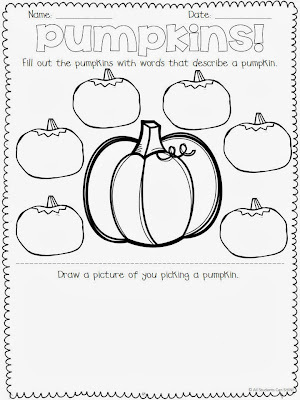 Click on the picture below to grab your very own pumpkin bubble map. Thank you for the great freebie! I just found your blog and am your newest follower! I love your Facebook page and seeing all your creative, fun ideas, I'm excited to follow your blog now too! Thank you again for sharing!